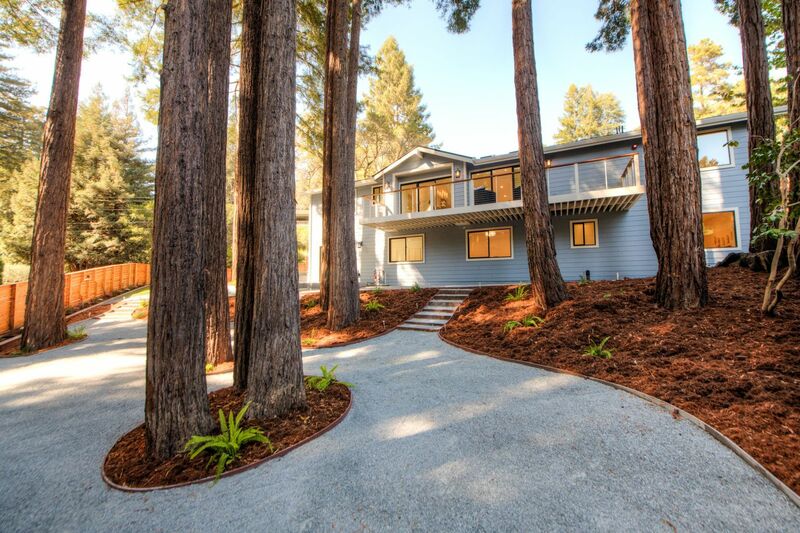 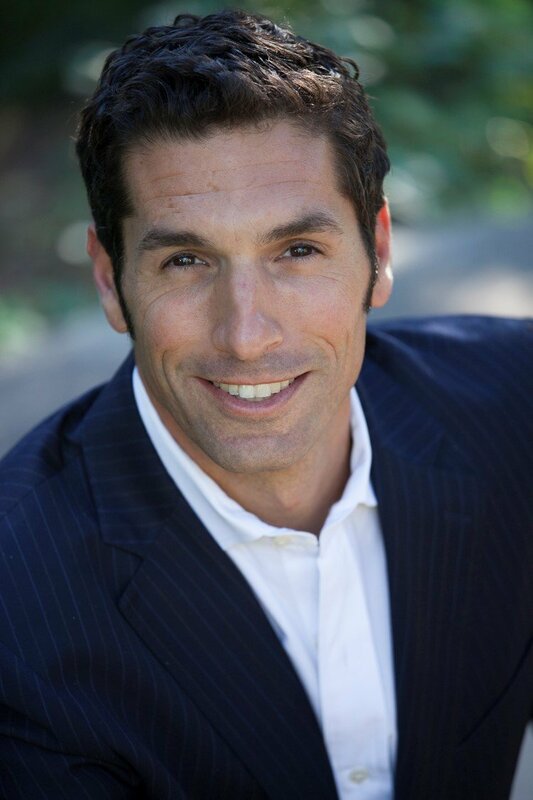 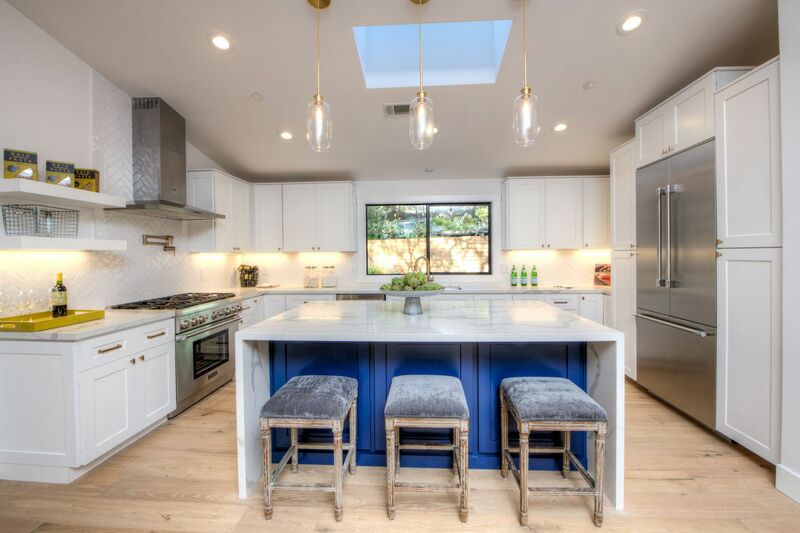 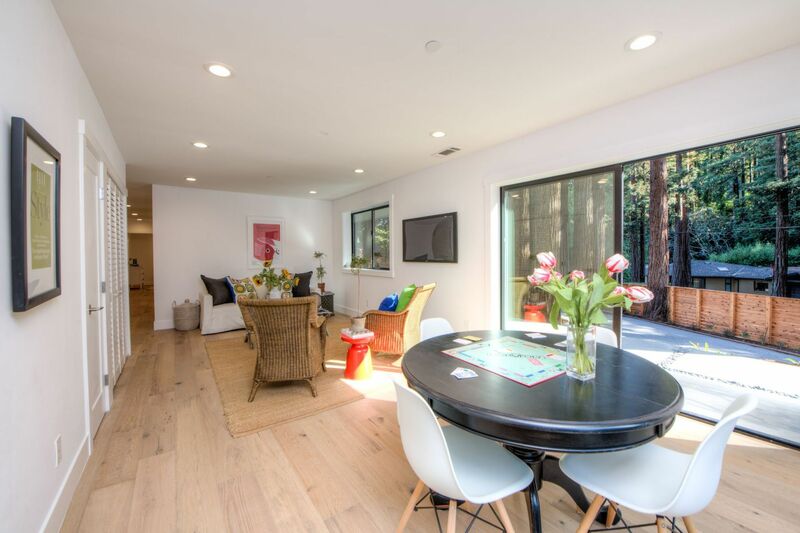 Set amidst the magical backdrop of soaring redwoods, this extensively remodeled home is situated on a an incredibly spacious lot in the highly sought after Country Club neighborhood of Mill Valley. 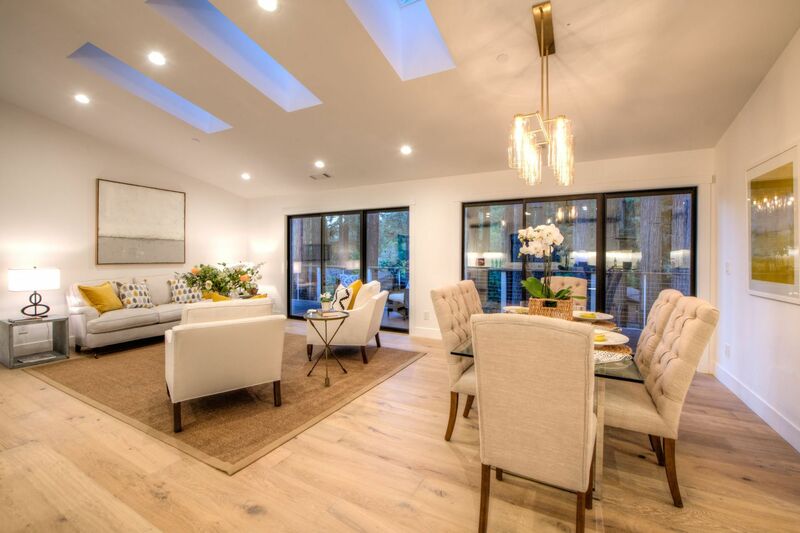 This residence boasts an exceptional layout which tastefully presents an open floor plan, so sought after for modern living. 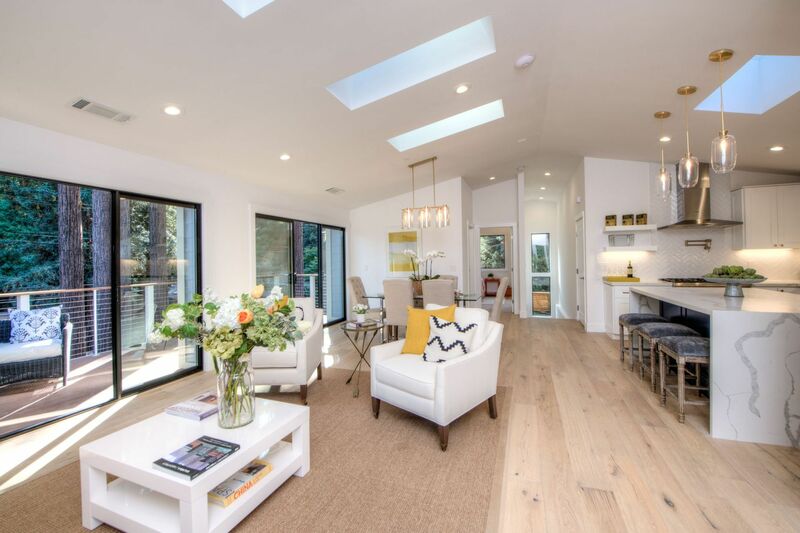 The Great Room and open kitchen are brightened by the dramatic skylights that bring in divine natural light. 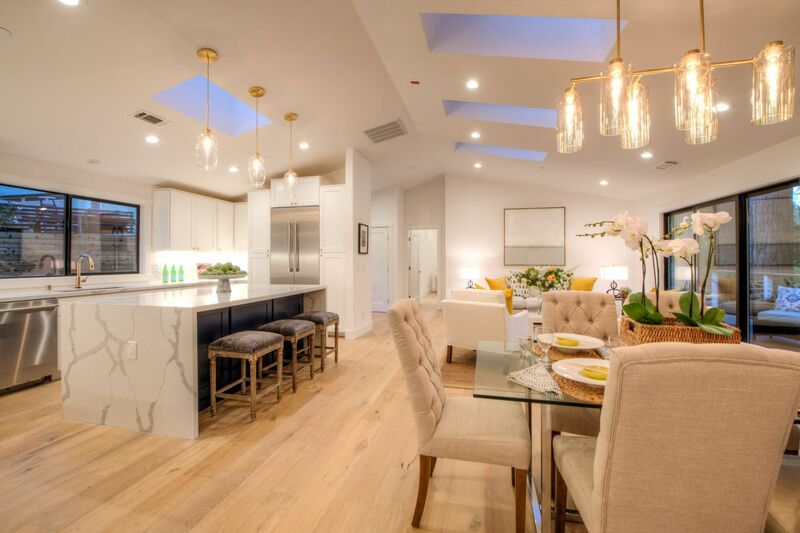 Seamlessly entertain from the chef’s kitchen that features a substantial center island with space for casual dining. 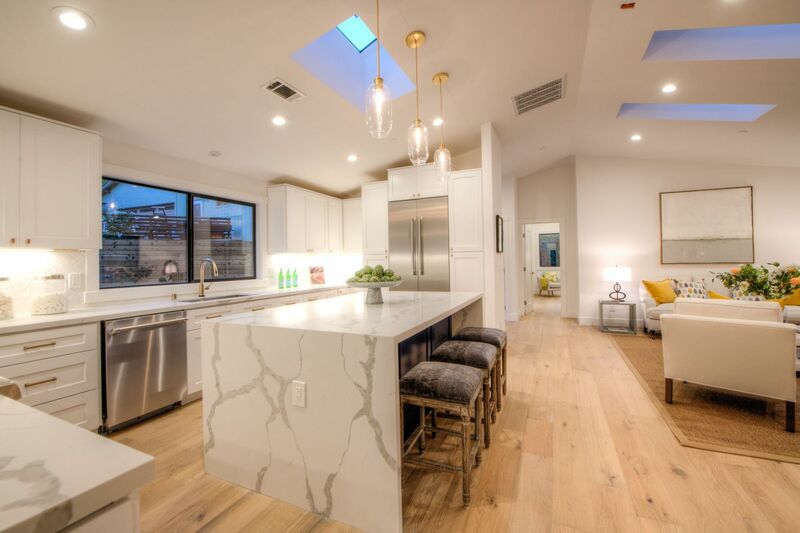 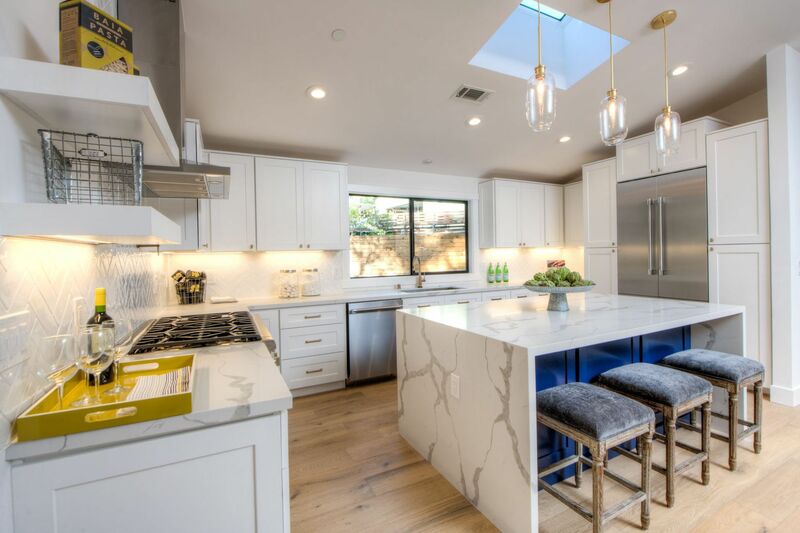 Abundant crisp white cabinetry, stainless appliances, a pot filler faucet, and stunning Calacatta marble counters add to its appeal. 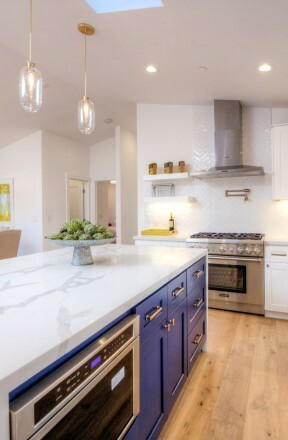 A touch faucet and built-in microwave drawer are added conveniences. 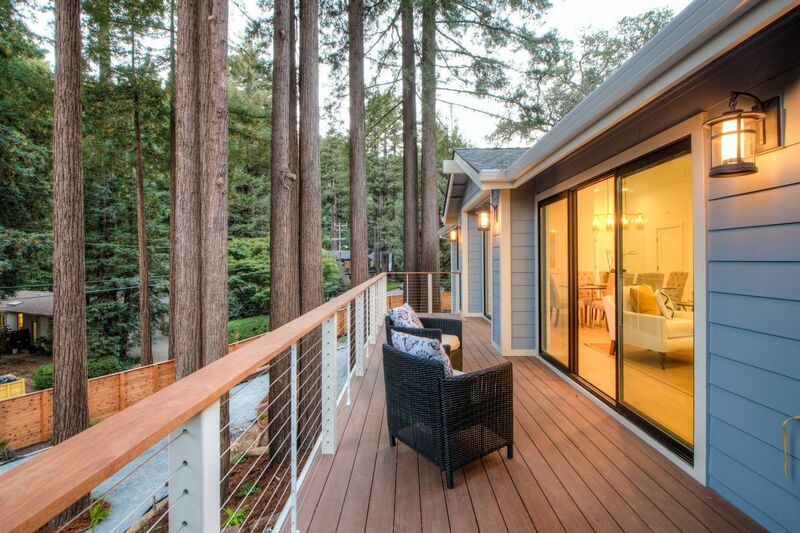 Step out to the generously sized deck through sliding glass doors that create a fluid indoor-outdoor experience. 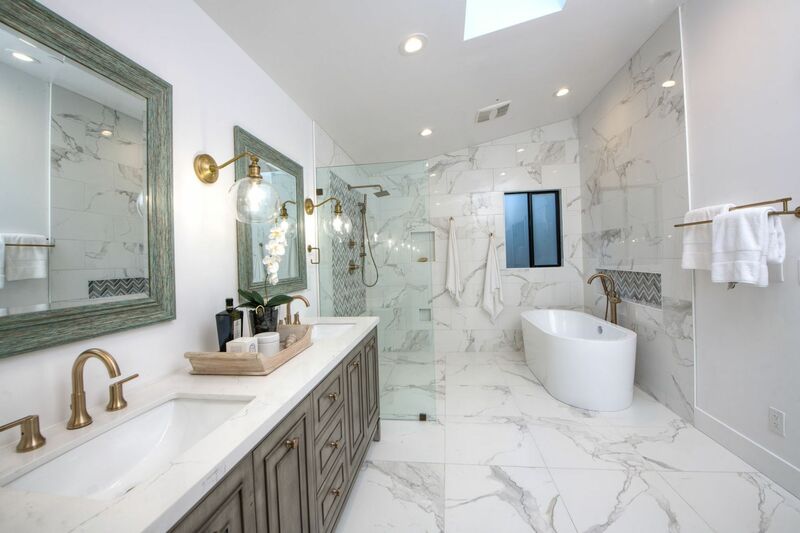 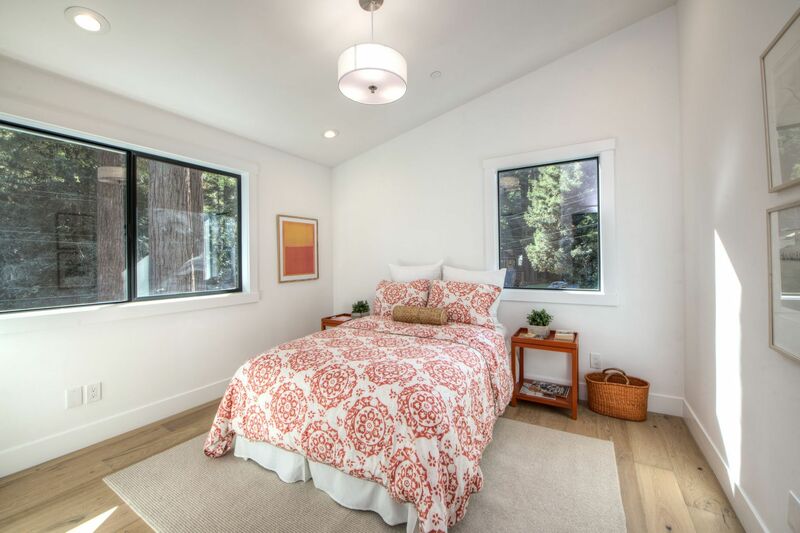 Perfection describes the master suite, with a huge walk-in closet with built-ins, windows of light and verdant views, and a resort-like master bath that will pamper you daily. 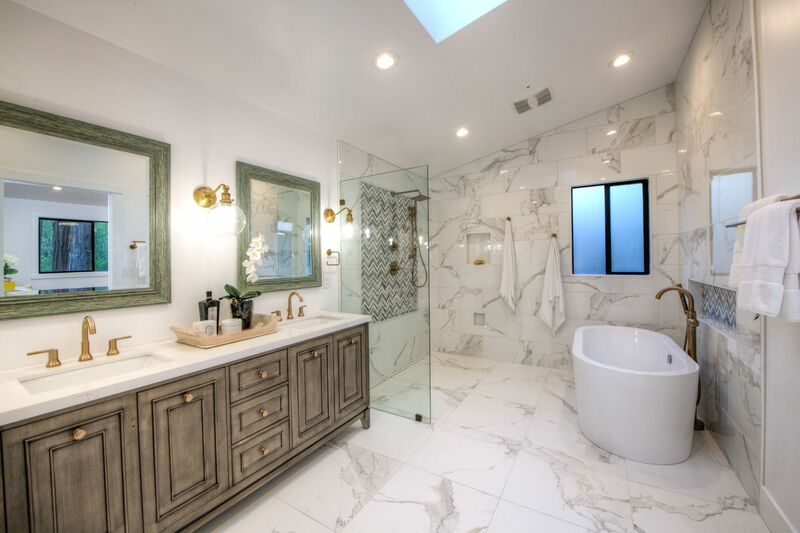 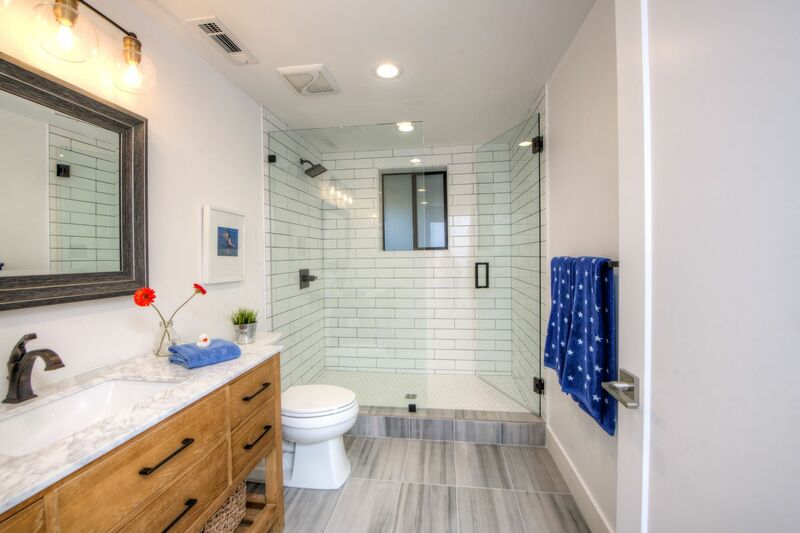 The open walk-in shower is a work of art and is accompanied by a large double vanity, a free-standing tub, chic finishes, and a private WC. 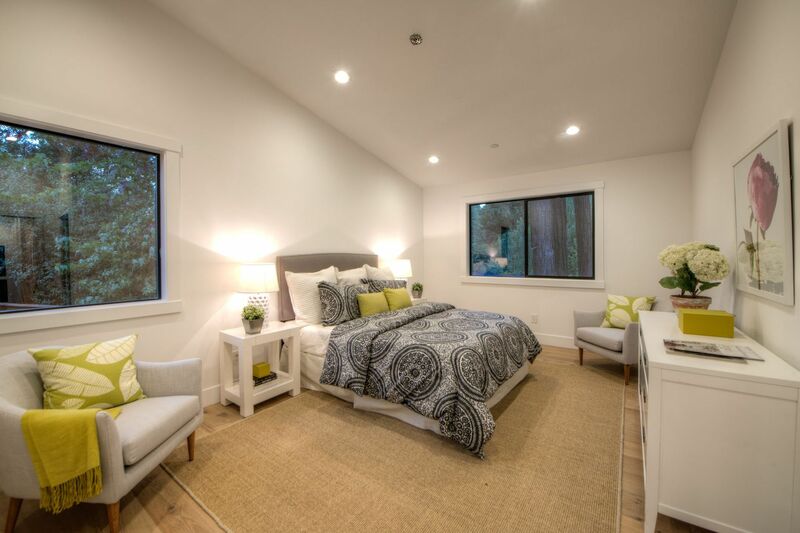 A guest bedroom, full bathroom, and access to the 2-car attached garage complete the main level. 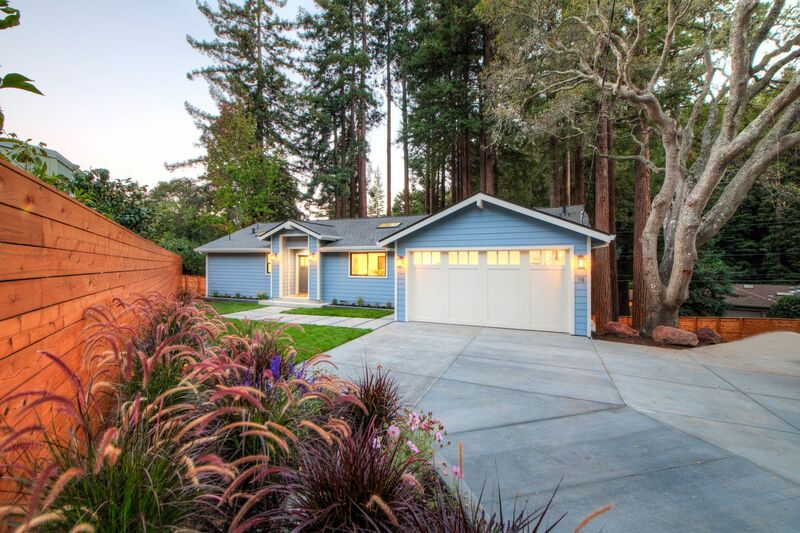 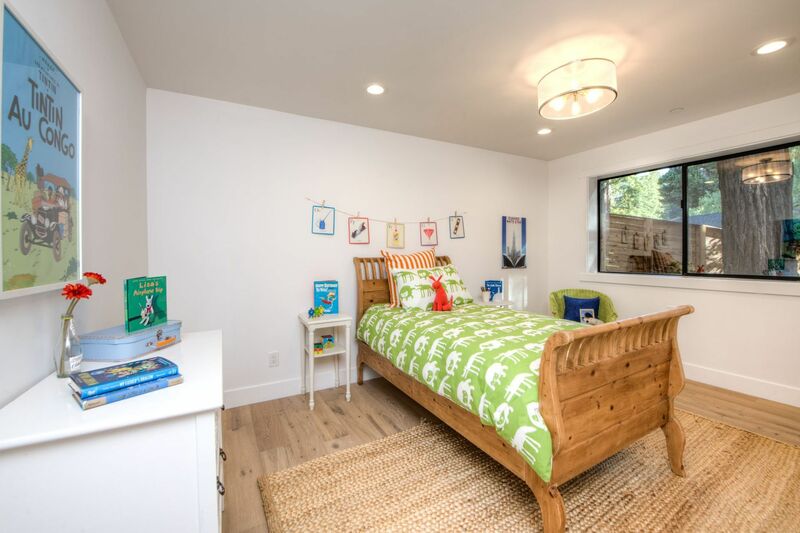 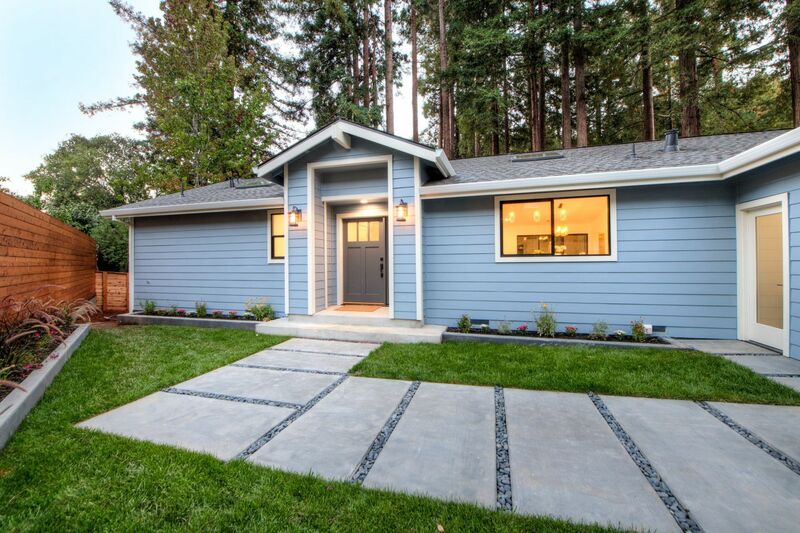 The lower level features a wonderful family room with two walls of sliding doors that open out to the backyard with a cozy patio area, a large level lawn, as well as a stand of majestic redwoods. 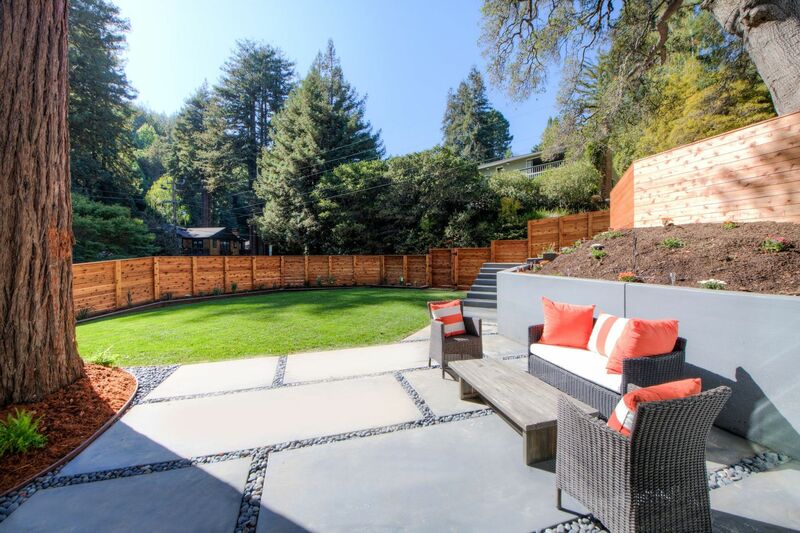 Gated and private, these spacious areas invite entertaining and play. 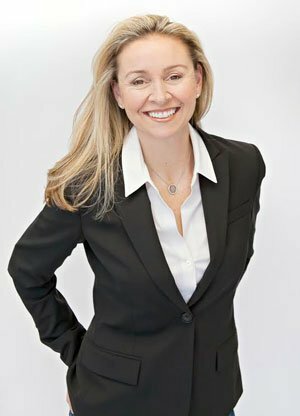 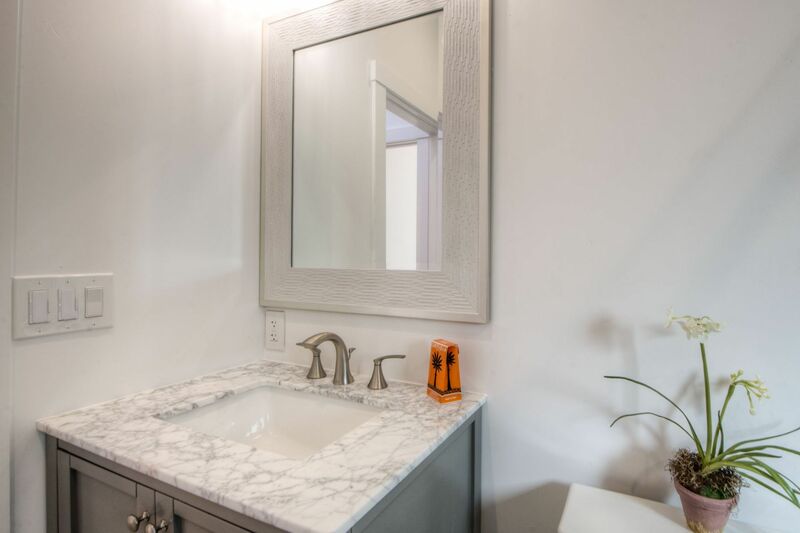 Down the hall you will find two large bedrooms with ample closet space and an elegant full bathroom with gorgeous finishes and a large, walk-in shower. 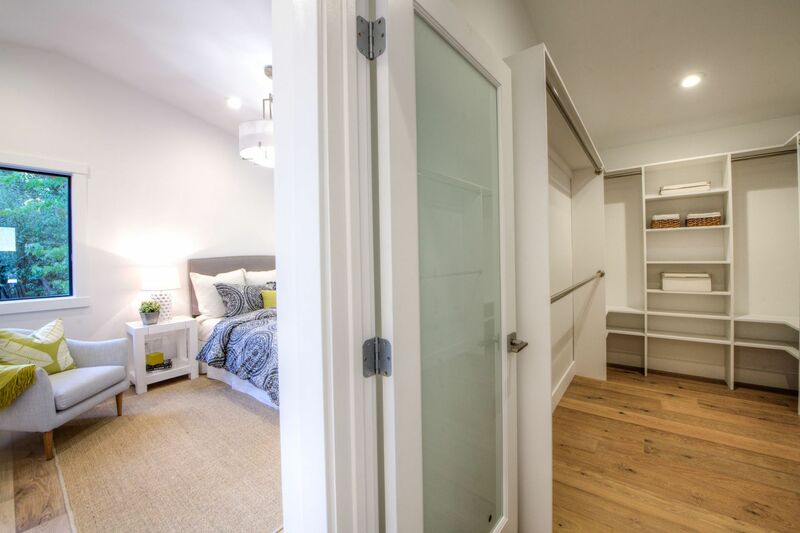 There is also a laundry closet on this level. 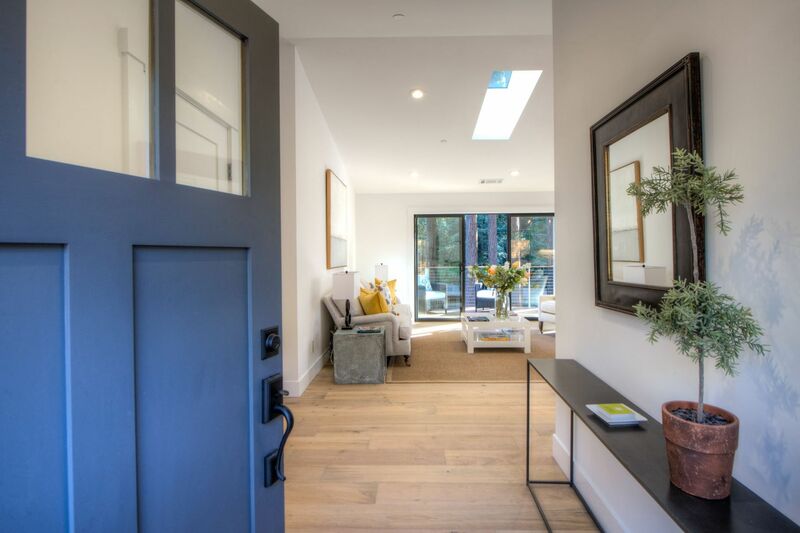 Other features include wiring for AV, an ecobee Smart Home Technology system, Ring doorbell, electric car outlet, and lush landscaping. 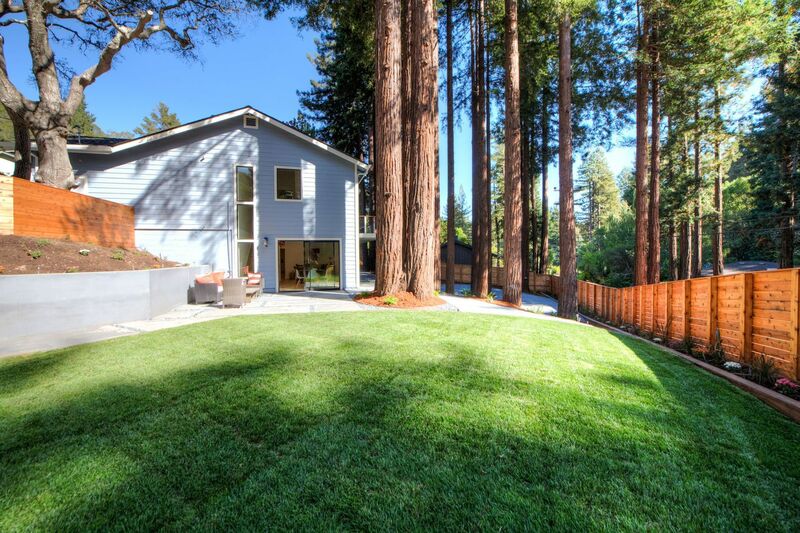 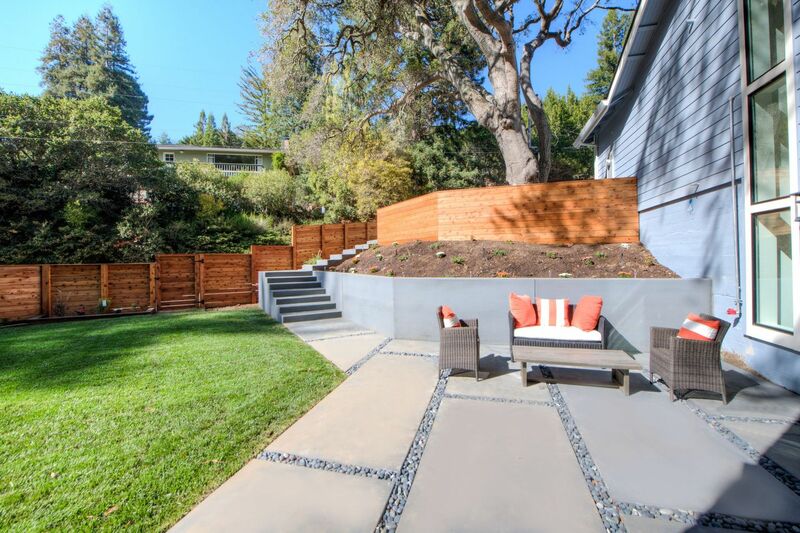 Close proximity to Scott Highland Park, downtown Mill Valley, the Mill Valley Golf Course, Boyle Park, exceptional trails, and an easy commute to San Francisco. 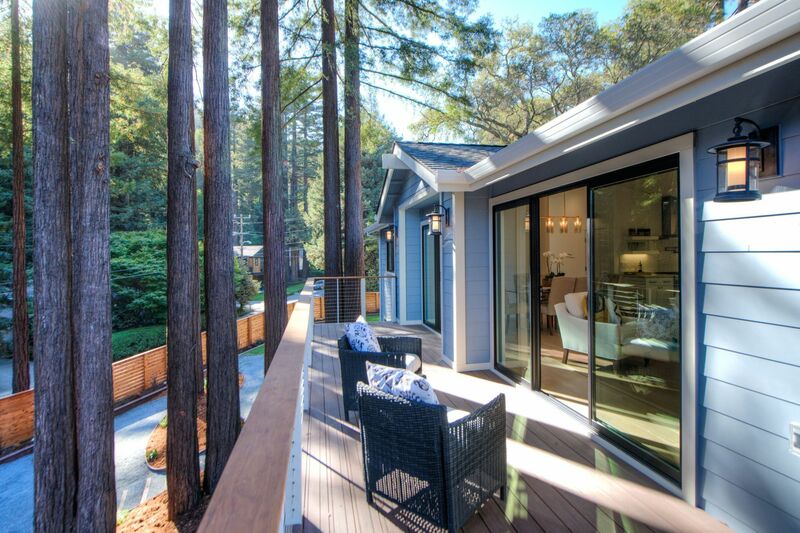 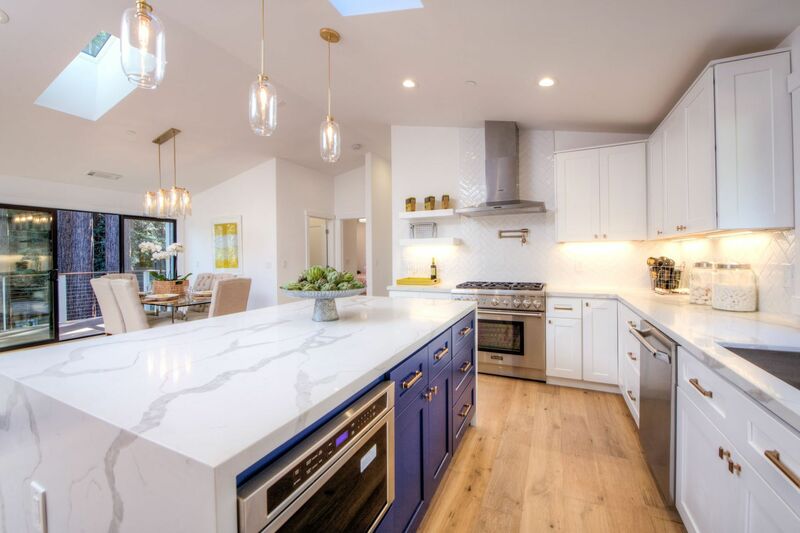 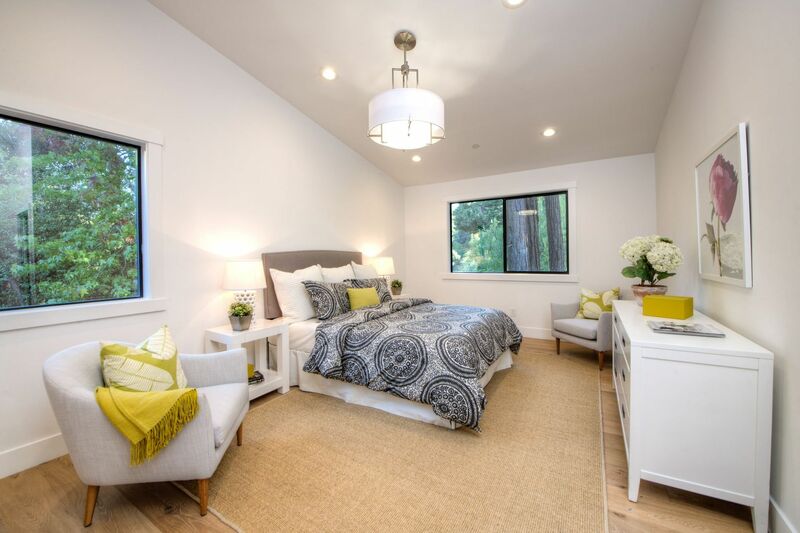 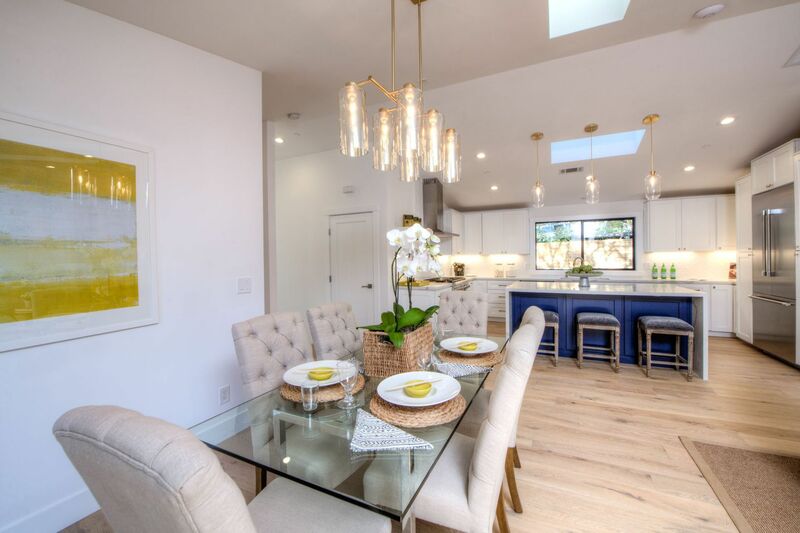 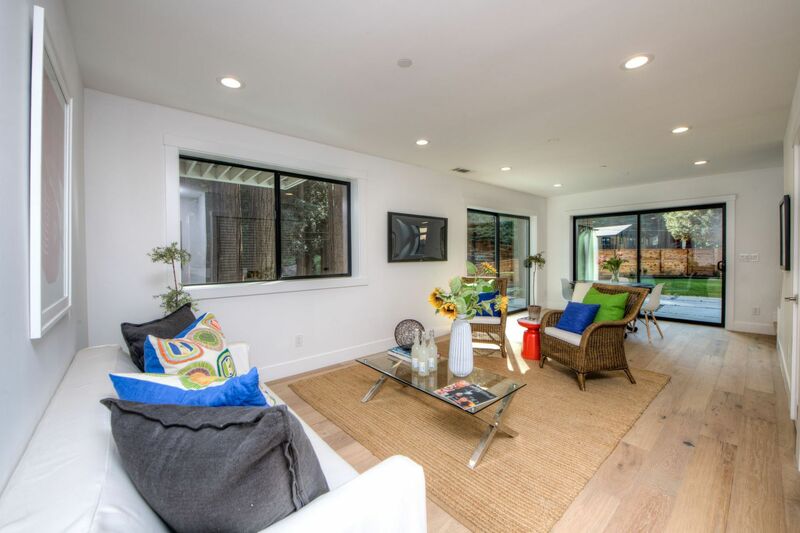 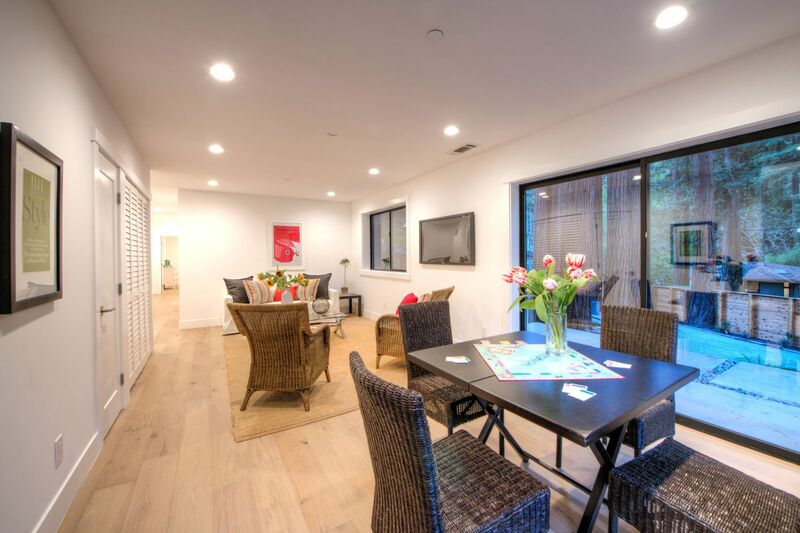 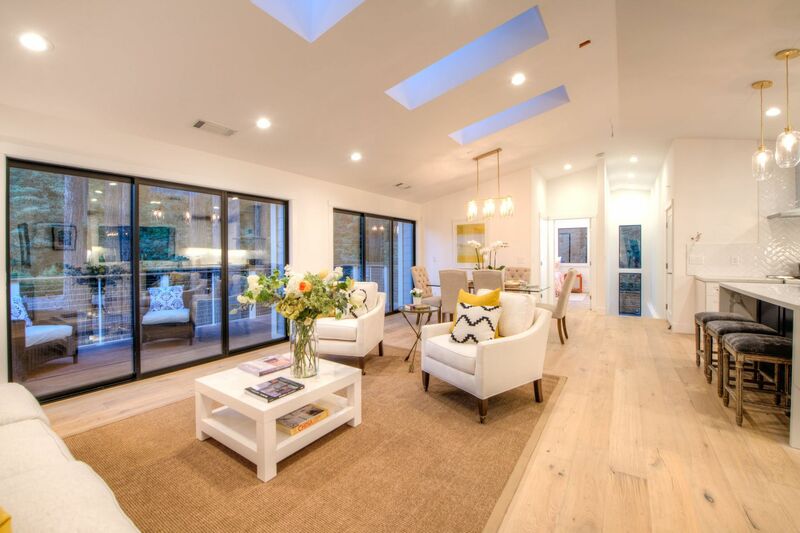 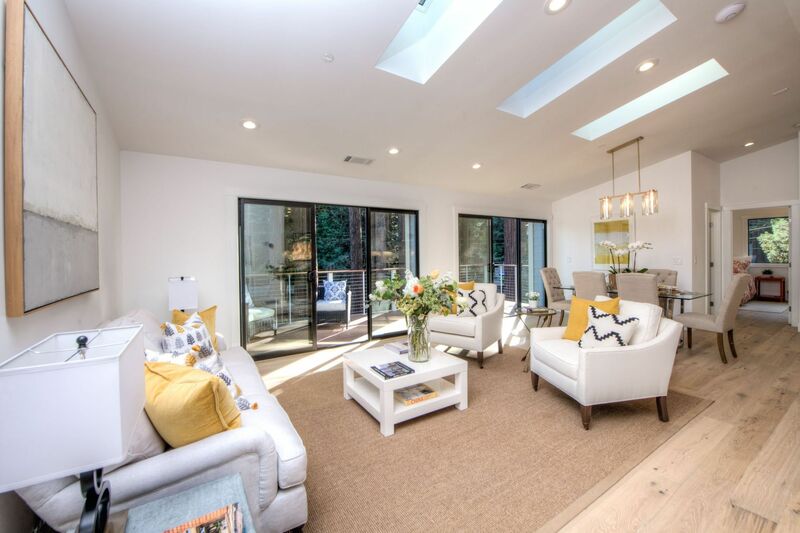 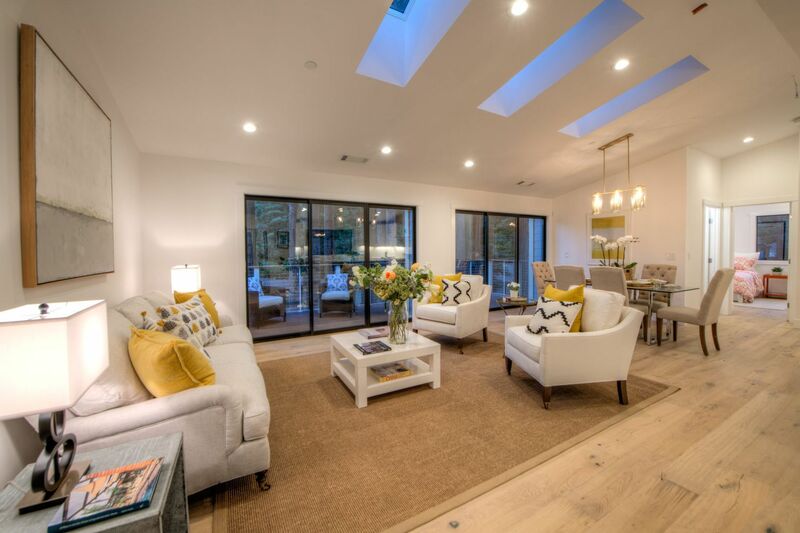 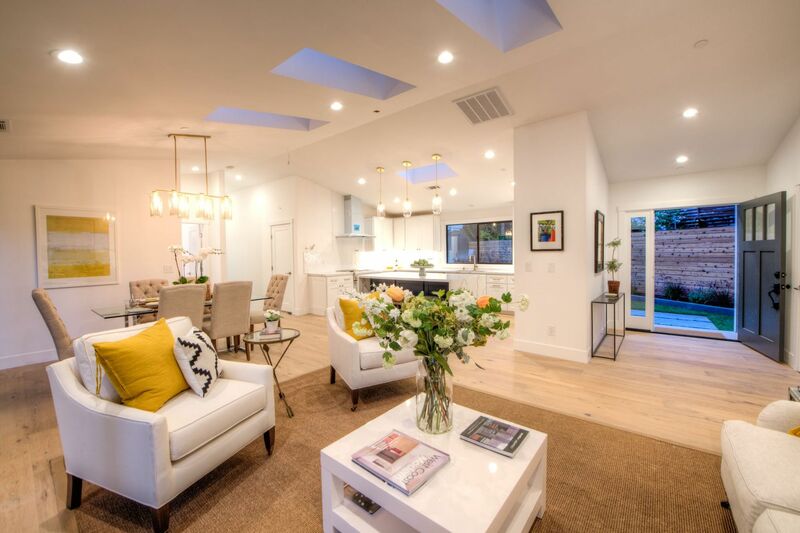 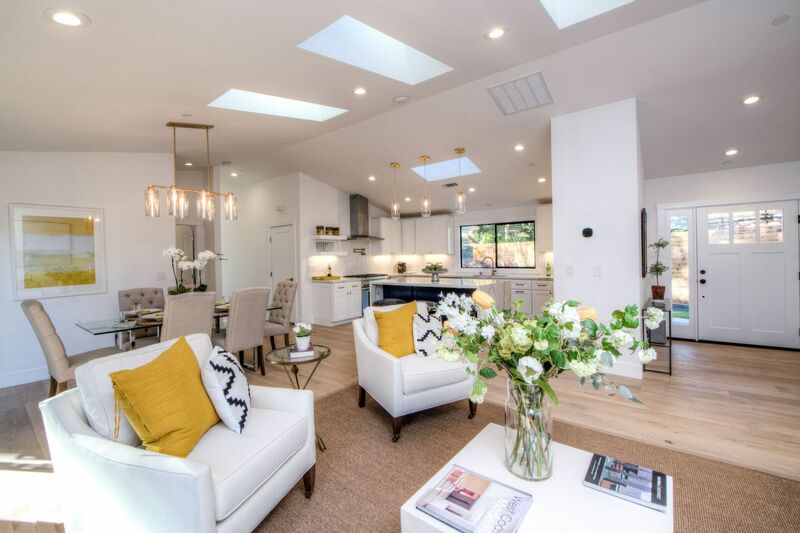 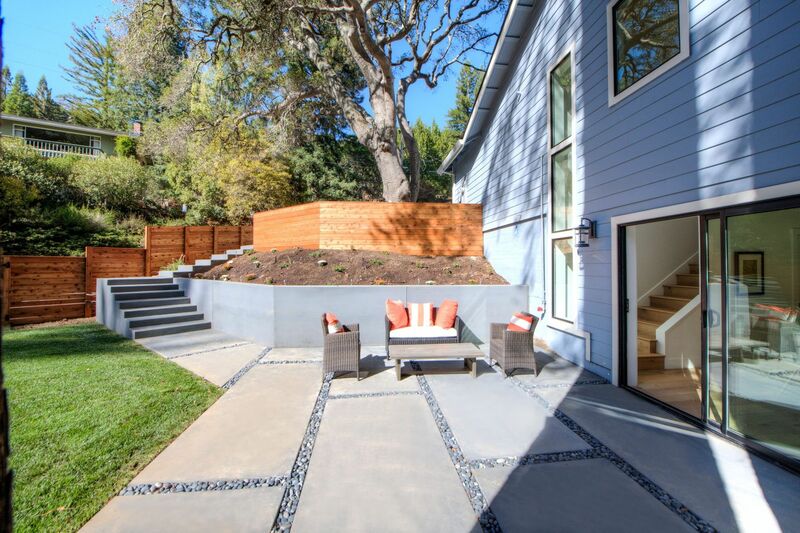 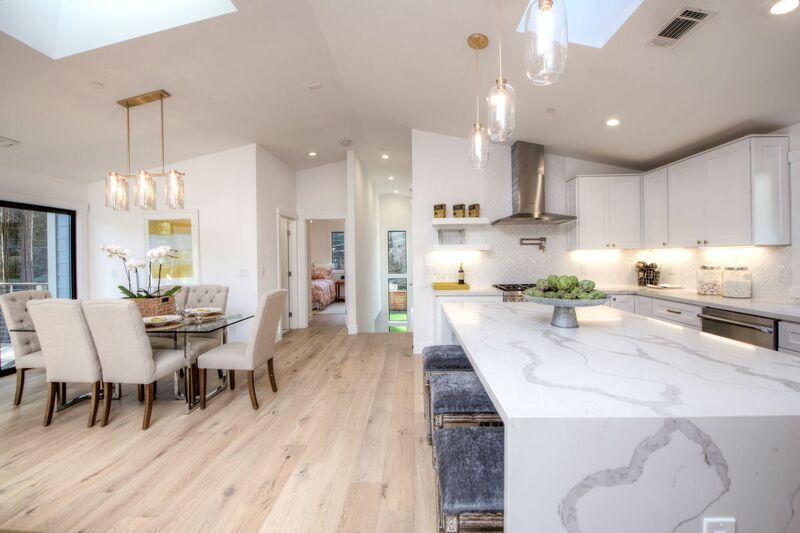 Enjoy the best of Mill Valley living in this special home that combines the allure and comfort of contemporary design in an enchanting setting, nearby open green spaces that make Marin living so extraordinary.